Hi I have just tried to set up IDEA 7.0M1 to work with Hibernate on Oracle database. 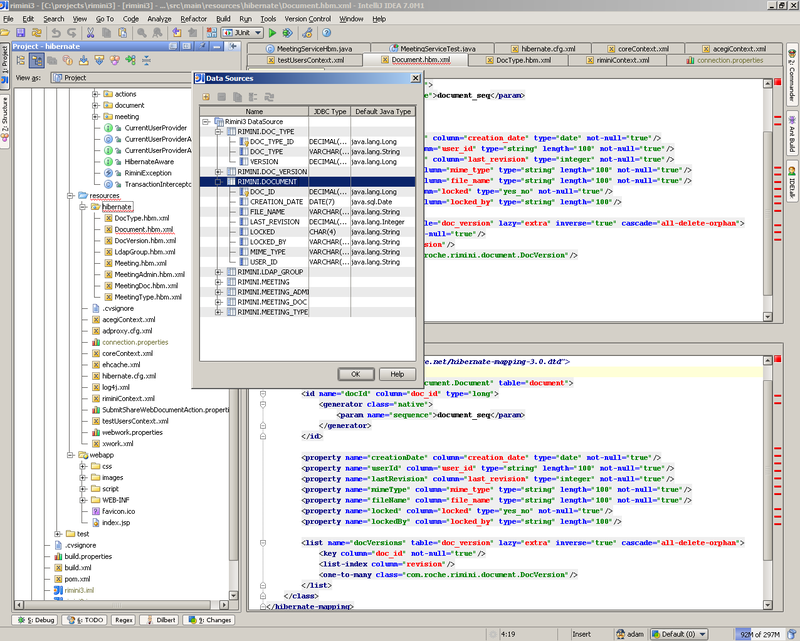 Now in all my hbm.xml files it highlights table and column names as invalid definitions. I was trying to fix it by specifying schema name and uppercasing everything in hbm.xml but it still does not work. (BTW, if it worked I hope that I would not need to change my code by adding schema and uppercasing everything). Nothing is suggested when I press alt+space on the table="" definition. 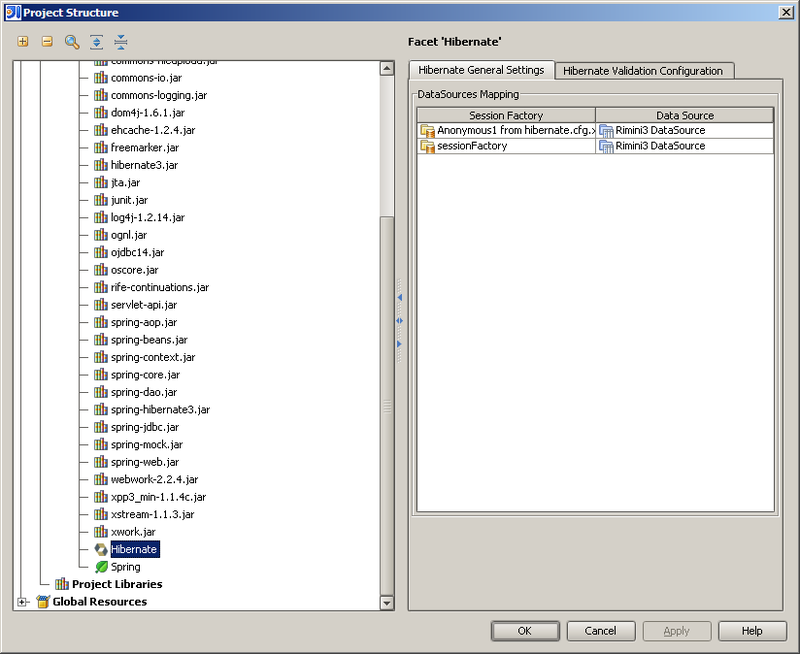 Yes, I have bound the Data Source created in Tools menu with the Session Factory in Project Structure, Hibernate Facet. Is there any other information I could provide? 1. the names of columns and tables suggested by alt space are always upper case. We started coding with lower case and I would not like to change it. I think when configuring Data Source it would be nice to be able to specify what should be the case. 2. lazy="extra" is highlighted red, event though extra is in the list of allowed and suggested by alt+space values. able to specify what should be the case. This would be nice to have indeed, good idea! The above steps did not work for me. All my table names and column names are red even though they are valid. I also have all-delete-orphan which is red but valid. Adam, I think you should add this mapping xml file to hibernate.cfg.xml because IDEA does not know the sessionfactory name for the mapping file if it has not beed added in hibernate.cfg.xml file. Please add the following sentence to your hibernate.cfg.xml and try. 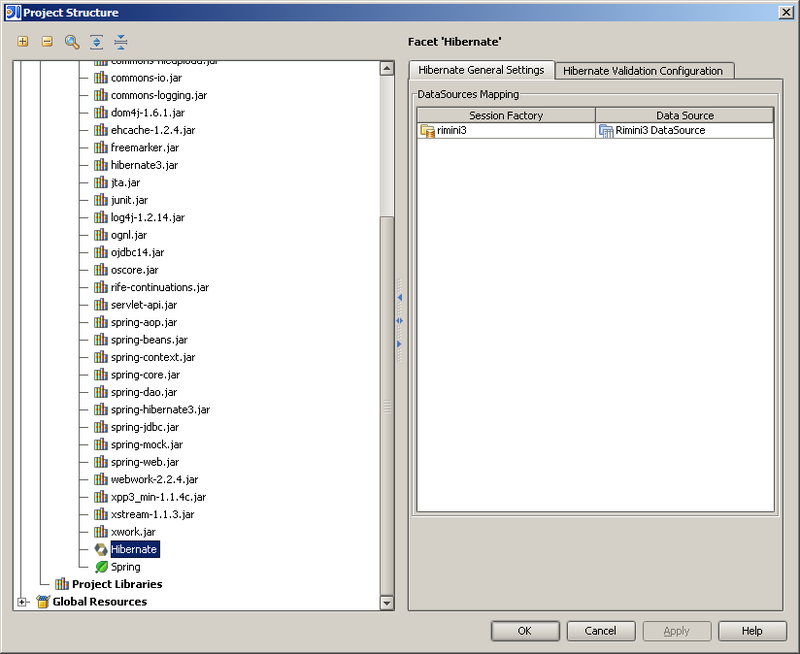 I got the same problem if I don't add mapping file declaration to hibernate.cfg.xml file. Your suggestion might help but as I have written - it started working for me even if my mappings *.cfg.xml files are not listed in hibernate.cfg.xml. IDEA was able to pick up my mappings somehow automagically. I remember I have added name to my <session-factory> in hibernate.cfg.xml, then after restarting Idea and reconfiguring Hibernate I had two session factories and then it started to work. Funny thing I have removed the name later on, but it still works well. 1. the names of columns and tables suggested by alt space are always upper case. > We started coding with lower case and I would not like to change it. specify what should be the case. Will be fixed shortly - prefix will determine the case of inserted text.